Your Eminence, what have you felt on your appointment as the Pope's Secretary of State? I felt a great sense of gratitude in the first place because he wanted to fix his gaze on me with so many worthy servants of the Holy See. I was already in the service of the Roman Curia for thirty years or so. I came to Rome on the death of Pope Pius XII leaving my diocese of Asti in Piedmont at the beginning of the pontificate of John XXIII. 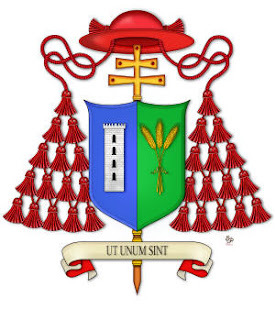 Then I served as secretary of the Holy See’s nunciature in Ecuador in Quito, in Uruguay in Montevideo, then I was in Chile and later on with Cardinal Casaroli. There, I collaborated for the relations with the Eastern European countries during that difficult time mainly on religious freedom and the Pope maybe knowing a little bit of my curriculum vitae wanted to choose me among the many possible candidates. Then maybe he was also well informed of the work I had done in Chile also preparing for the visit which he did in 1987 at a difficult time with the country’s military regime. And then he saw that I was the man of reconciliation, of the pacification at a time of a particular tension. And he asked me if I wanted to do this service. I willingly said to him: “I am at your disposal”. And so I began to serve at the Secretariat of State. Eminence, can you describe your working relationship with Pope John Paul II? It was a very friendly and cordial relationship that lasted for fifteen years. I started as Pro-Secretary of State because I was still not a cardinal in the ninety. Then in ninety one in the consistory of June twenty-nine he created me cardinal and confirmed me as his Secretary of State and so on until the day of his holy death. It was an easy collaboration. He entrusted me with the relation with states and with international organizations. Even the title of Secretary of State, indicates this major duty. The Holy See also wanted to maintain a fruitful and constructive dialogue with the states and this explains why were born during the last few centuries these diplomatic relations. Today there are one hundred seventy eight states that have a regular relationship with the Holy See. 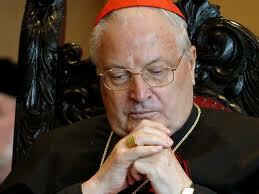 There are also other states that have relationship with the Holy See but not of this definitive character. And so it was a collaboration in this field of the great theme of the defense of religious freedom, human rights, and the international cooperation in the fight against poverty to world hunger. And then as Secretary of State, I was also entrusted to coordinate the work of the Roman Curia, there are times that diplomats give the secretary of state’s function almost equal to the role of a Prime Minister in a sovereign state. And actually I also had to follow this inner work. Working to coordinate the work of the Roman Curia. As you know, the Roman Curia is the executive body by which is served the Pope, that is the general government of the Church. And then from the Secretariat of State to the Congregations, from the Tribunals to the Pontifical Councils , from the administration to the commissions and so on. There is a full mosaic of organisms in the service of the Pope and I had to take care of this coordination. And then there were, of course, moments of innovation as the recodification of the canon law, the implementation of a lot of new structures to facilitate the needs of the times, as it was sometimes thought that our curia had been petrified .. No, it was not the case, it was dynamic, as a tree that grows according to the needs of the Church and of humanity. And therefore I did this work as I could in the wake of my predecessors, I owe a lot to the Secretary of State Cardinal Casaroli, the predecessor with whom I had worked as a monsignor, Cardinal Villot of blessed memory and also the Cardinal Tardini which he died in sixty one and whom he greeted me so much before I left for Ecuador. He saluted me, encouraged me as I entered in the diplomatic service of the Holy See. So in that spirit I tried to take my brick in the service of the Church and of humanity. 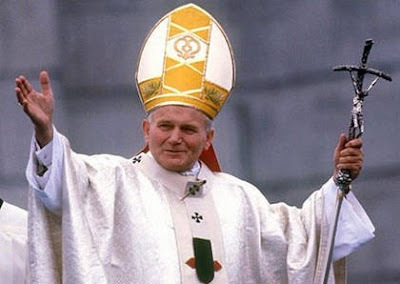 Eminence, how do you define the pontificate of Pope John Paul II? I say that it was the pontificate of the 'New Evangelization '. He saw that in 'Europe, America, in the Western world, this Gospel of Christ had to be re-introduced ..... So, here's the 'New Evangelization '... announcing Christ in today’s world. Blessed John Paul II: Do not be afraid! Open wide the doors for Christ. He alone has words of life. Yes, of eternal life! You remember his first address from the “loggia” of St. Peter’s Basilica after his election with those famous words, < Do not be afraid. Open wide the doors for Christ. To his saving power open the boundaries of States, economic and political systems, the vast fields of culture, civilization and development. Do not be afraid. Christ knows "what is in man". He alone knows it. He alone has words of life, yes, of eternal life. > Next to this commitment of new evangelisation I see his commitment to religious freedom. On reaching the Chair of Peter, he was aware of this big drama being played in Central and Eastern Europe, this huge Iron Curtain that had risen after the end of World War II and then he felt like personal commitment to work hard for religious freedom. He used to say: “The states are not the masters of their citizens, but they are there for the service of their citizens.” He used to repeat that the religious freedom is as essential as all other freedoms. And then from there was born all his effort to face the communist governments of Central and Eastern Europe. And therefore the fall of the Berlin Wall, the fall of communism were thanks to him. 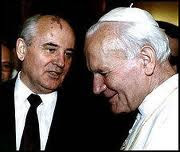 I was always impressed by the statement of the former Soviet Leader Mikhail Gorbachov who had told me that among the causes of the fall of communism were the efforts of Pope John Paul II mostly for his commitment in defending human rights. These words of President Gorbachev are an important testimony. 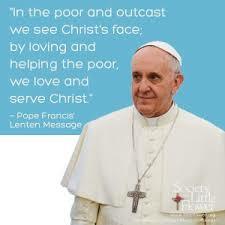 And then the Pope of evangelization, the Pope of religious freedom, Pope of peace too. Since the beginning of his pontificate he always was faced with regional wars. Think of the eternal problem of the conflict in the Holy Land. True? Then the conflict in Lebanon, after the nineteen ninety till ninety four the massacre in Rwanda-Burundi in the region of the Great Lakes where some statistics pointed out the killing of some five hundred to eight hundred thousand people. The United Nations even talked about the African genocide. And when I remember those days I can witness to his eternal concern. We also had a Nuncio in Burundi, Monsignor Courtney, an Irishman, nuncio precisely in Bujumbura, who was killed for his work for peace in that country. Then we had problems even here in Europe, the Balkan wars, especially the war in Kosovo. He felt so much his commitment to peace. I must also say that when I was nuncio in Chile in the first year of the pontificate of John Paul II he mediated personally for the keeping of peace between Argentina and Chile. They were on the brink of war for the sovereignty of certain islands and islets in the austral zone beyond "Cape Horn" peninsula. Whilst they were considered as two sister nations, their two military governments, their armies were not far from a military intervention. 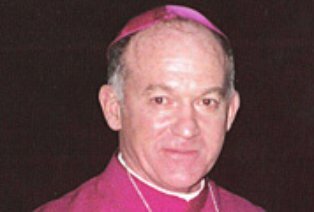 The nuncio in Argentina the late Cardinal Pio Laghi and I nuncio in Chile transmitted to the Pope in his first month of office, we were in December seventy eight, this serious situation and then immediately the Pope took the initiative. He sent his represantative , Cardinal Samore` that arrived in Chile in Christmas, travelling all night, that holy night, to make contact with the government in Buenos Aires and then going back and forth between the two capitals and obtained a stop to the preparation of the military intervention and then a peace treaty drawn up in two or three years in fact even more, in four years and to define this issue of the border that was always open. 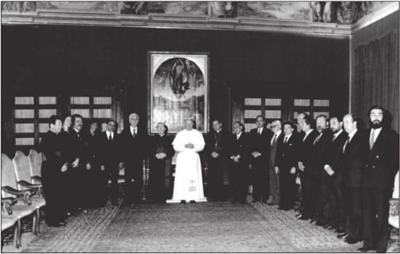 This great intervention of the Pope, in Latin America, is often cited, in Europe this event, is less well known. So, therefore he was also the Pope of Peace! How many things could be said that he was even the Pope of the Missions because he even lifted high above all the world the flag of the missionary activity especially on Asia where Christianity is only about three percent of the population yet there was born the Lord, there was developed Christianity, there was the Primitive Church and it was there where he organised a special Synod for the Evangelisation of Asia. This is why for me he was a great Pope, someone begins to say John Paul II "the Great" as was Gregory the Great and Leo the Great. But really his beatification will seal his greatness from heaven to intercede for us.